Myelinated nerve. Coloured transmission electron micrograph (TEM) of myelinated nerve fibres and Schwann cells. Myelin (brown) is an insulating fatty layer that surrounds nerve fibres (axon, blue), increasing the speed at which nerve impulses travel. It is formed when Schwann cells wrap around the fibre, depositing layers of myelin between each coil. 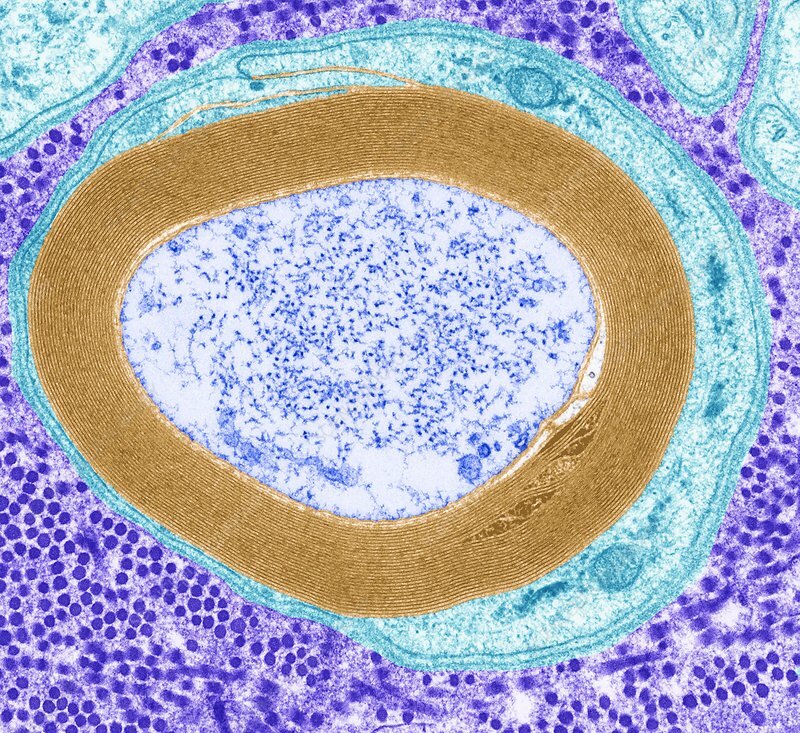 The outermost layer consists of the Schwann cell's cytoplasm (cyan) and is known as the nuerolemma or sheath of Schwann. The nerve fibres are surrounded by endoneurium (purple) a delicate connective tissue that contains collagen. Magnification: x12, 000 when printed at 10 centimetres wide.